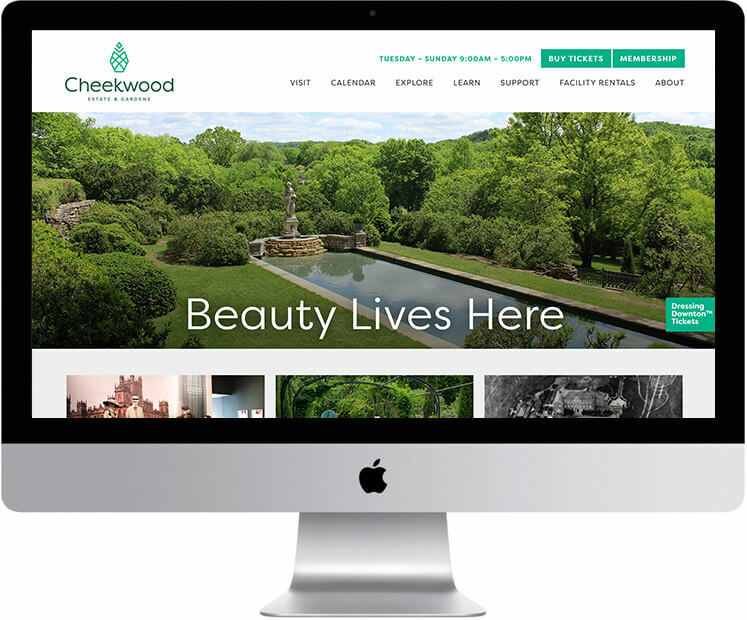 Cheekwood is a 55-acre botanical garden and estate, featuring art galleries and breathtaking sculptural gardens in Nashville, Tennessee. 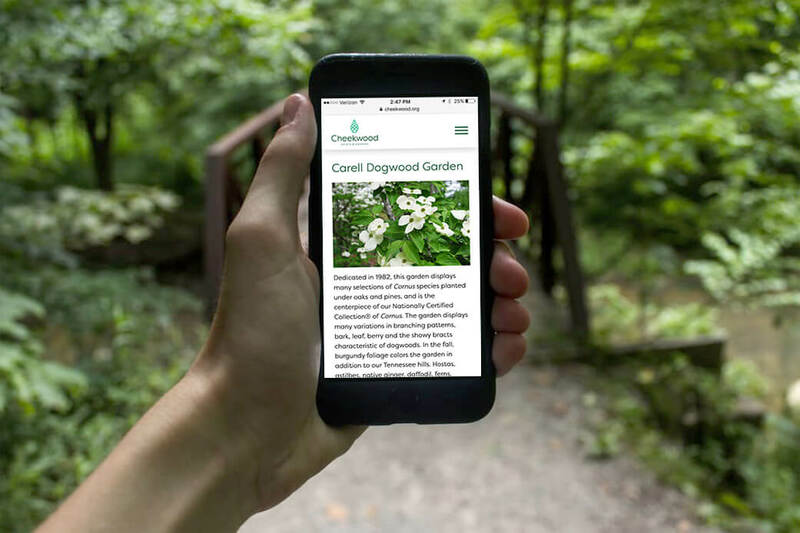 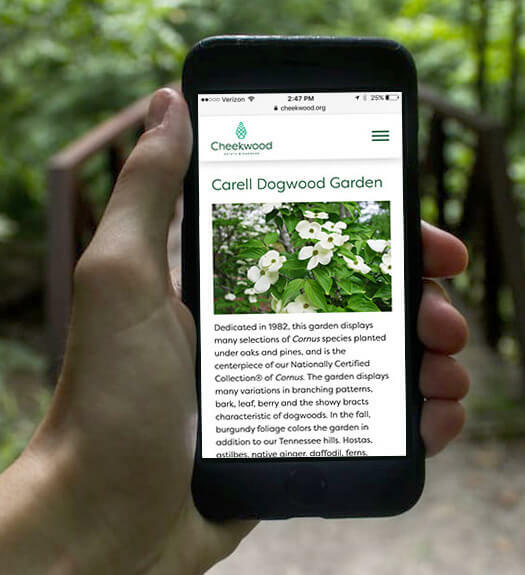 The main task for redesigning Cheekwood’s website was to design not only a beautiful website for an iconic, historical, Nashville gem but to also make all the information displayed in a user friendly way. 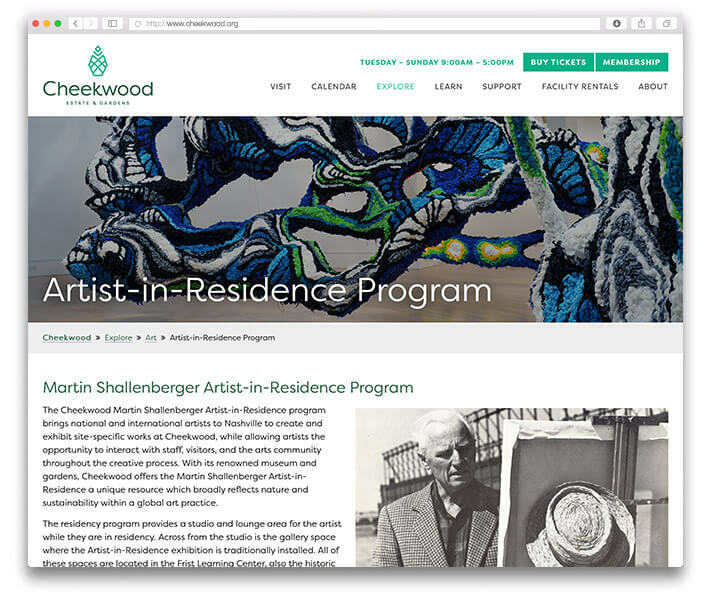 Cheekwood offers a lot of information on their site for a wide range of audiences: visitors, educators, sponsors and facility renters. 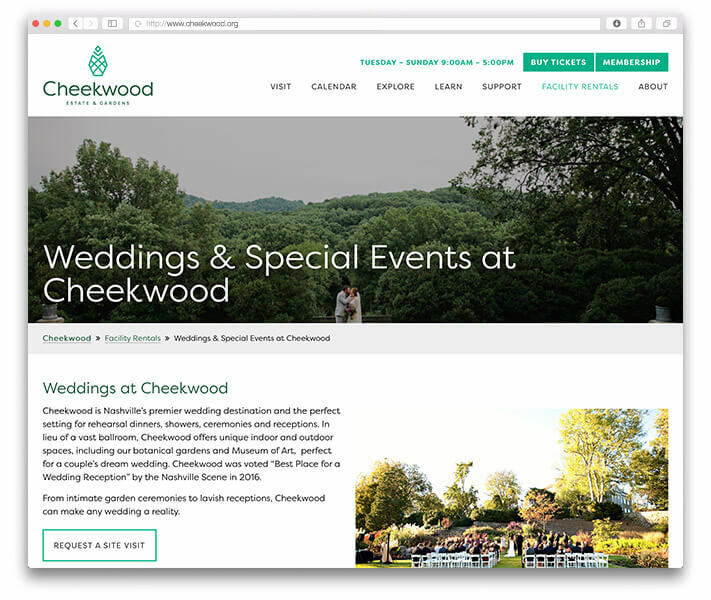 We worked closely with Mike Delevante, from Delevante Creative, along with the directors of Cheekwood. 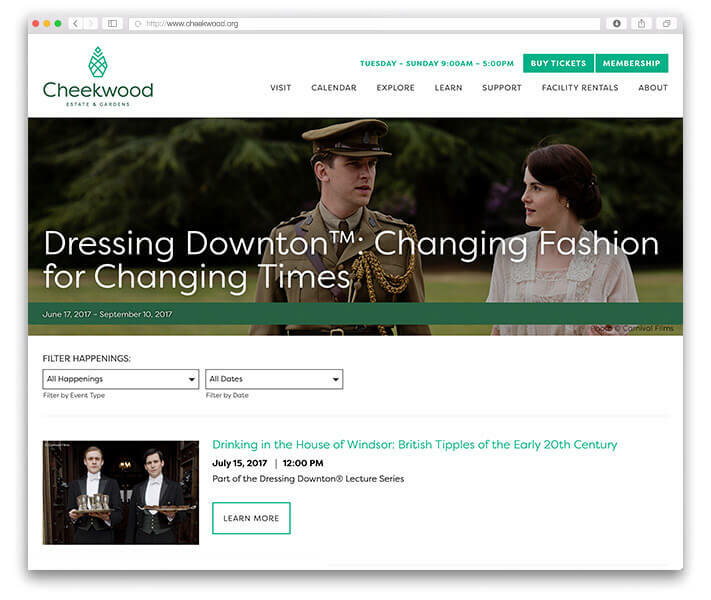 We are happy to hear that the site has been received very well since it’s launch from everyone including guests, financial sponsors and venue coordinators.